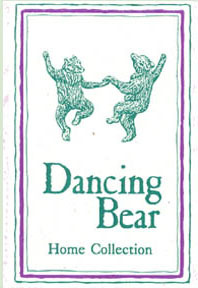 Welcome to the Dancing Bear. We are located in historical downtown Sturgeon Bay, the heart of Door County, Wisconsin. We carry a charming array of fine gifts and collectables, including such sought after lines as M.A. Hadley Pottery, Steiff Plush Toys, Brio, Lee Middleton Urick Dolls and so much more! Please feel free to call us with an questions you may have about any of our products, and enjoy your time browsing our Dancing Bear Website. Nov-Apr, M-Sa 10-5:30, Su 10-5.